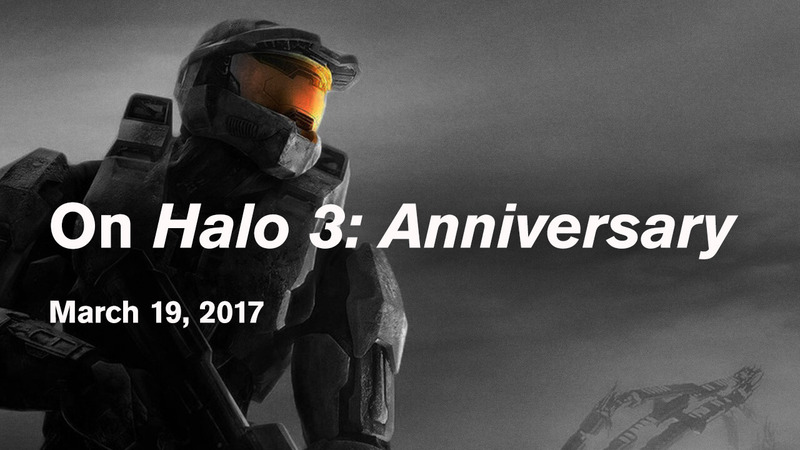 At this point, Halo 3: Anniversary (H3A) has either been long in the planning by Microsoft for release in September 2017, or has already been decided against after a no doubt lengthy discussion. Those seem the only two options for a game we’ve been asking about since the release of Halo 2: Anniversary as part of the MCC. For some, H3A is the only way back to the “golden days” of Halo; those of six-figure populations, the largest and (more importantly) most frequent LAN tournaments and a multiplayer suite many see as the best Halo’s ever had. For others, H3A would be a distraction from a new era of Halo; one that has its own identity, with both successes and mistakes entirely its own. Microsoft and 343 Industries have repeatedly downplayed the possibility of H3A releasing this year, opting instead to place more focus on growing their own version of Halo. However it does seem strange investing time and resources into remastering H:CE and H2 but neglecting to remaster their sequel. If H3A followed the now established formula, we could see Halo 3’s campaign get a full remaster, improving textures, lighting, character models, sound effects, skyboxes; all brought up to date using today’s technology 10 years on. Arguably Halo 3 still holds up to today’s standards, especially when played at 1080p / 60 fps on the MCC (alongside other welcome technical improvements). Many forum posts read something along the lines of “Halo 3 doesn’t need remastering”, which in this new age of constant remasters and ports seems like a sensible argument. But if H3A released at the right time—perhaps as a launch title for Project Scorpio—and at the right price, would the Halo community really maintain that position and ignore it completely? H3A for Project Scorpio, if put into the right developer’s hands, could be its biggest weapon and the first real killer app Microsoft has had this generation. An announcement at E3 followed by an immediate open beta (think: those now classic “and it’s available right now” announcements we’ve seen dozens of times) could prove to the community that any problems from the MCC won’t be repeated, and that H3A could be the metaphorical second coming of the franchise. Saber and Certain Affinity (developers of both Combat Evolved and Halo 2 Anniversary) could already be working on H3A in isolation from 343 Industries, similar to Raven’s remaster of Modern Warfare last year. The MCC was a fantastic idea on paper—and still has its place among the Xbox One’s lineup—but a more simplified package, perhaps of H3A and a winter 2017/2018 beta for Halo 6, could be an incredibly lucrative option for Microsoft at this point. Quite a large footnote to the benefits of H3A is the possibility of completely remade cutscenes by Blur Studio — who, in my personal opinion, have been one of the biggest catches for the Halo franchise. 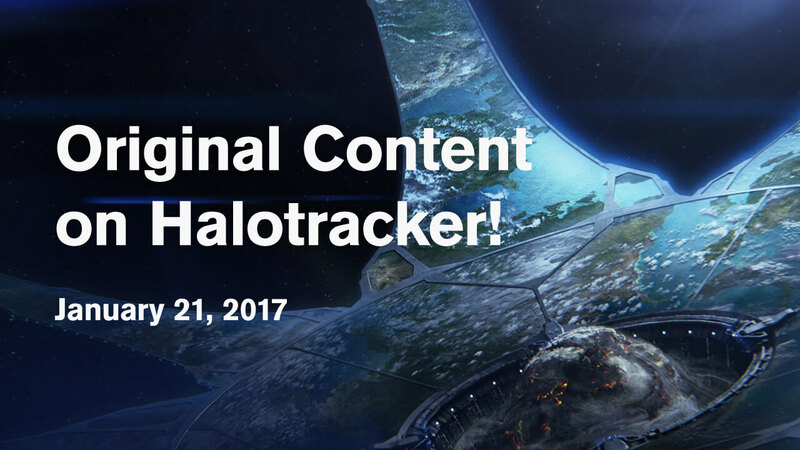 Their art direction, technical prowess and vision have produced some of the best individual pieces of Halo content to date, and would no doubt hit another home run given the opportunity. In trying to write a balanced essay, I’m intentionally leaving out as much of my personal opinions on Halo’s gameplay as possible, though I will note I’m largely neutral on various topics such as sprint. I’ve played every Halo multiplayer since the beginning and enjoyed every one for different reasons, so you can rest assured I hold no bias in either direction. A balanced essay also means that after discussing the numerous pros of releasing H3A, it’s only fair that potential cons are also aired. Those who disagree with H3A getting a release seem to base their arguments mostly on a lack of need for another Halo remaster, as well as not wanting to return to more classic gameplay. It’s true that throwing back to H3A could distract from Halo 5 and (probably) Halo 6’s “progressiveness”, and would confuse matters when it comes to which model would host our growing competitive scene. Current pro players may or may not be thrown if Halo’s gameplay suddenly reverts to 2007, and opinions on Spartan Abilities seems to differ from player to player anyway so the decision doesn't seem to be a clear cut one. If we assume the competitive scene follows Call of Duty’s current model (competitions are played on Infinite Warfare with Modern Warfare Remastered available on the side), players would face a decision over which title to devote more time to. A co-existence of H3A and Halo 6 could extend beyond a 2017 release of H3A / Halo 6 Beta and become the model for Halo moving forward: fans could choose between classic Halo gameplay and Halo 6’s almost certainly Spartan Ability-fuelled direction at any time, with both titles supported long term as genuine alternatives to one another. While I don’t usually entertain the politics of “veteran” Halo fans versus “new” Halo fans (which aren’t even accurate descriptions of the different sections of our community anyway), there’s little doubt that former Halo fans and players would at least contemplate coming back to the franchise. We’ve all seen those forum posts too, no matter our opinions on them. 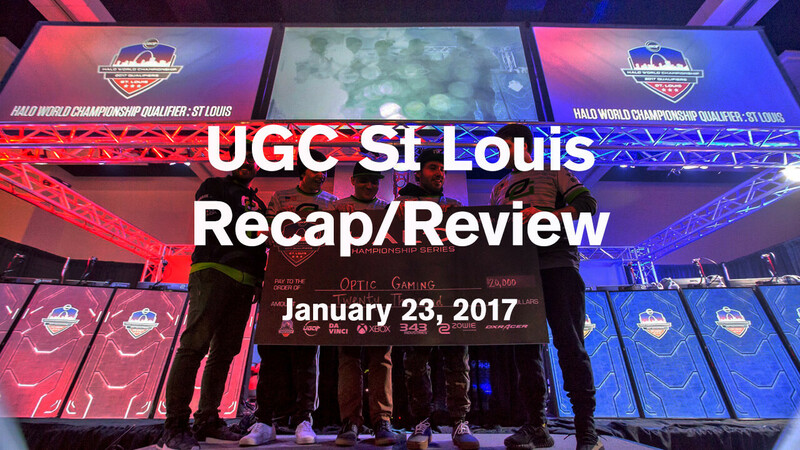 A combination of classic gameplay and fond memories of LAN parties and tournaments might go some way to restore parts of the community that’ve been noticeably dormant for several years — understandably so after a significant and relatively sudden change in gameplay. There is a third option, however, and it’s something which I haven’t seen too much discussion about. When H3A is mentioned in the community, it’s usually talked about in a binary “will they? / won’t they?” setting. If Microsoft have indeed already decided against releasing H3A, 343 Industries could release a large, Halo 3-themed content expansion for Halo 5. This direction may explain the current radio silence on Halo 5’s future (besides 2017’s Pro League seasons), and would certainly breathe new life into the game. Carefully selected Halo 3 maps might be tuned for Halo 5’s speed, movement and weapon balance, and be placed in as part of a Halo 3 anniversary/celebration update. Assuming we don’t see a full H3A release in 2017, Halo 5 would have to last from Fall 2017 to Fall 2018; therefore without a significant content update the competitive community would be forced to play the same seven maps in current HCS rotation for another whole year. (Note: I don’t currently play BTB or Warzone too much so I won’t comment on their respective map selections — perhaps others could weigh in on this.) Halo 3 has a wealth of revered and respected maps for all game modes and is a hugely valuable resource to draw on for future expansions. This isn’t a new idea though; Halo Reach received a Combat Evolved-themed expansion with remastered maps, throwback weapon balance and its own playlist. While I’m not suggesting a $60 expansion and another separate playlist would be in Halo 5’s best interests (Reach’s Anniversary playlist didn’t last long for those reasons); I’m sure an inexpensive expansion which integrates a handful of new maps into existing Halo 5 playlists (both ranked and social) would be a widely welcomed move by 343i and a viable alternative to a more traditional remaster. I’ve written this more to put on paper what I hope is a fair and balanced assessment of 343i’s possible next moves, and I sincerely hope everyone who’s made it this far has found it an interesting read at the very least.